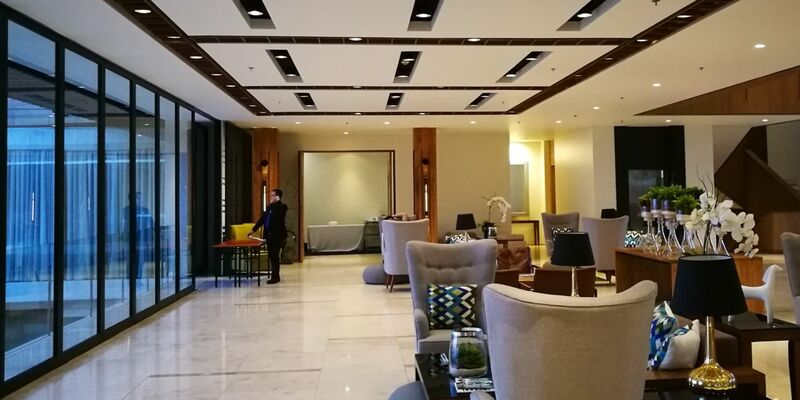 Staycations continue to gain ground here in the Philippines and even though Tagaytay is around a couple of hours away from the city, it does still qualify because of the proximity. 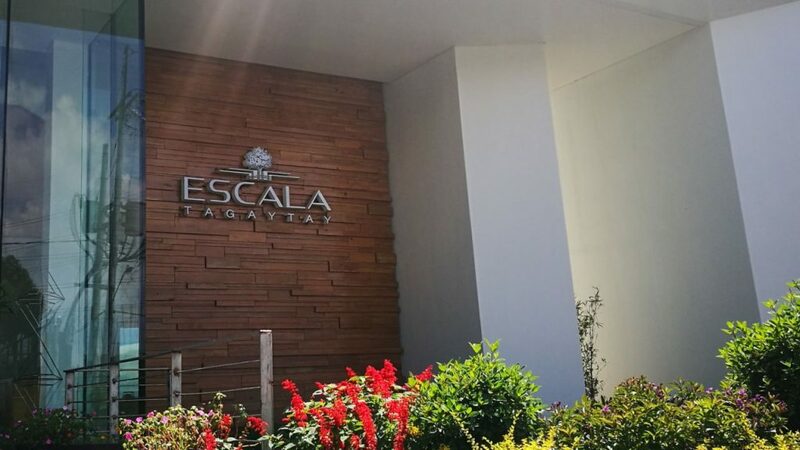 Escala is a relatively new hotel that still has its tarpaulin up because it’s still on track to completing the frontage… it did just open December of 2016. This multi level temporary residence situates itself at the far right side of the lake (using the rotunda as reference) and yet the view is quite clear and free from obstruction as far as the seeing the famous volcano is concerned. Escala presents itself with a very modern appeal, with varying degrees of concrete, wood, glass, metal, and natural stone effectively encapsulating greenery in the form of potted plants, pocket and vertical gardens, with matching drapes for all the units. 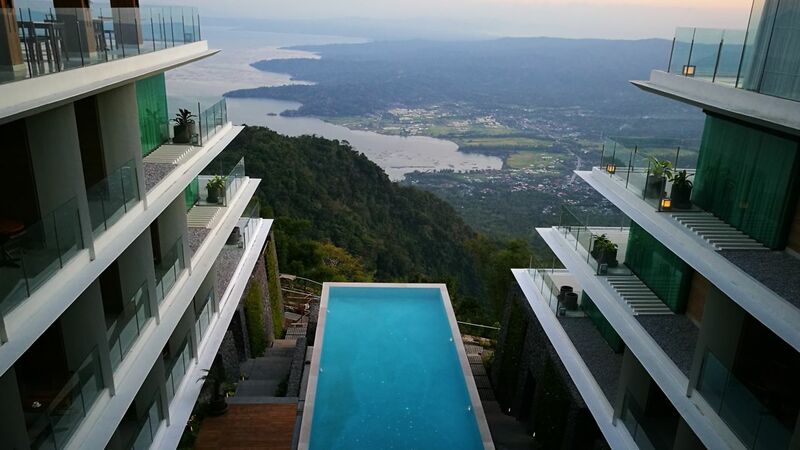 It’s primary design feature is a central infinity pool, three floors down from the lobby, that affords what is arguably the best view of the picturesque lake on its precipice (yes, you need to swim to get there). The entire structure is a tiered model increasing its overall length as the floors go down following the slope of the mountainous terrain. 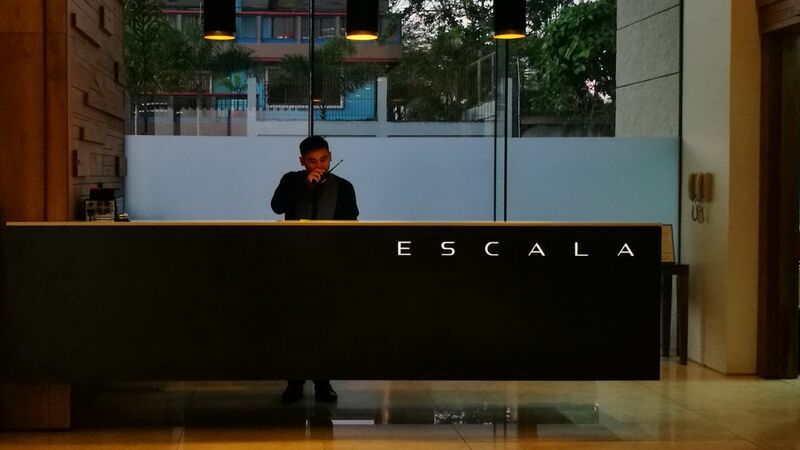 We believe it is from this form that the name Escala had been derived from. It is quite different in this sense because you do not go up like in high rise hotels but rather go down into the earth so to speak. 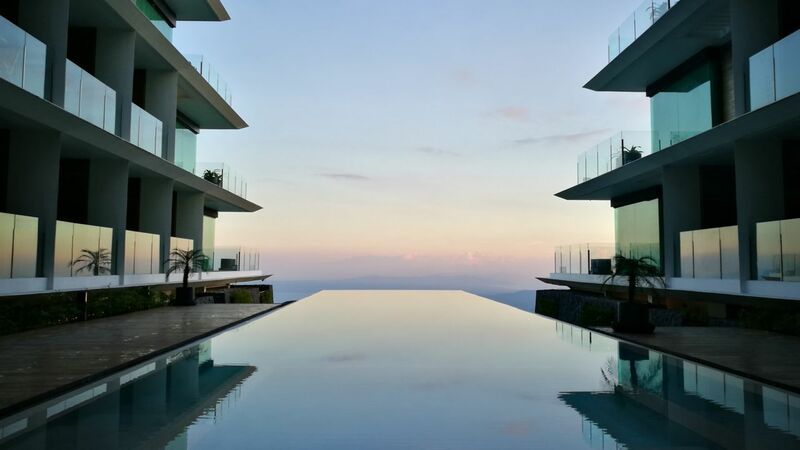 Dining at Escala is of average hotel standard – nothing grand but it has enough variety in its buffet to serve a practical breakfast palette with continental and local cuisine. The dining area is one of the better lookout points for the lake provided your party takes the seating near the balcony. 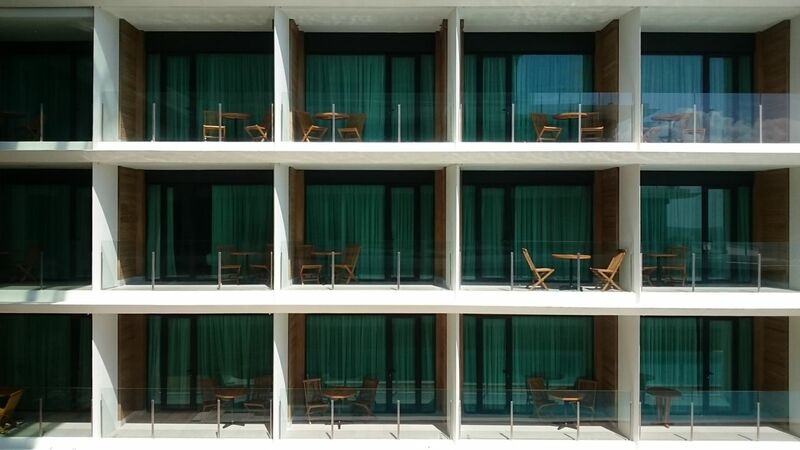 A good portion of the dining hall comes under direct sunlight which would require some guests to reseat themselves in order to avoid the heat. There’s enough seating to accommodate the cycling of guests coming in to take their morning meals. As for the other, non-complimentary meals, there is an abundance within close proximity… we’re unsure if they serve non-breakfast meals at the dining hall. As of writing, Escala remains a sort of secret making itself known to only the people who’re actively looking for it; it’s highly likely that you’ll just zoom past it whilst traversing the road. It uses a well thought out material palette and even blends nicely with the environment instead of standing out. 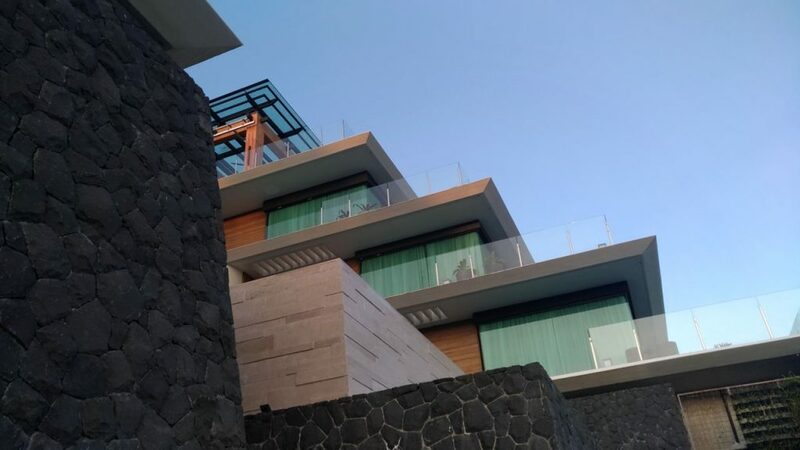 The air of luxury is upheld within every corner of the soon-to-be-completed hotel structure. It’s relatively small room count would make for an ideal team building destination and the impeccable service only adds to the appeal. 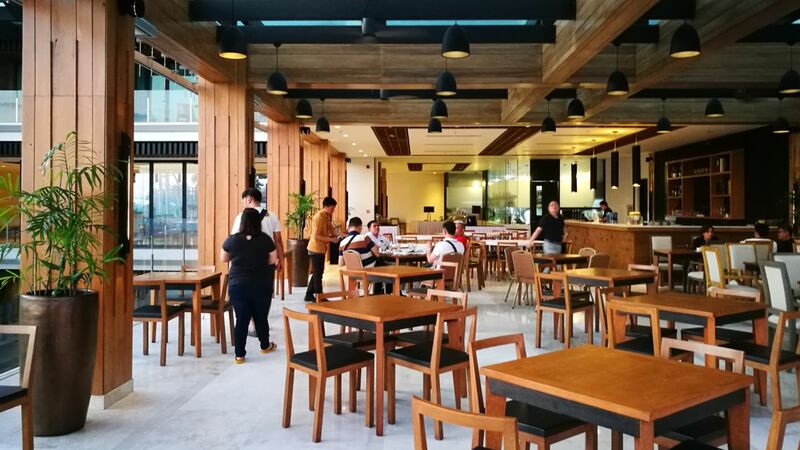 Definitely one of the finest picks on that side of Tagaytay City.